Today was filled with baking in my house. We’re getting ready for Thanksgiving so we made 6 pumpkin cheesecakes. No they’re not all for us. My dad and brother are each taking one into work and one is for the neighbor. We’ll still have an extra, just in case. I also made the double crust for my first attempt at a homemade apple pie. I’m too tired tonight to finish it, so first thing in the morning. Now to why you’re really here, the scarf of the day. Its another cowl. 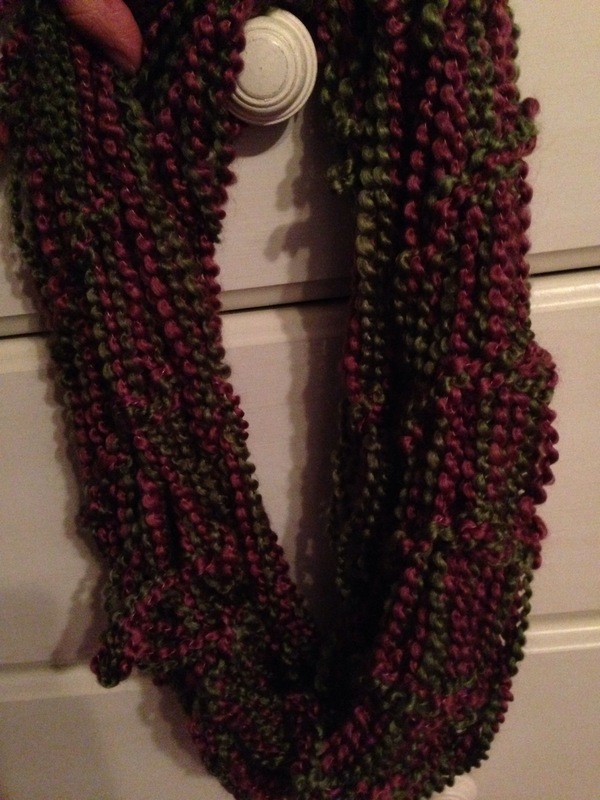 It’s an arm knit cowl that I made when I made my blanket, in my very first blog post. I like it but don’t wear it that often. As you can see I have very many scarves and some get less attention than others. How have you been getting ready for Thanksgiving?